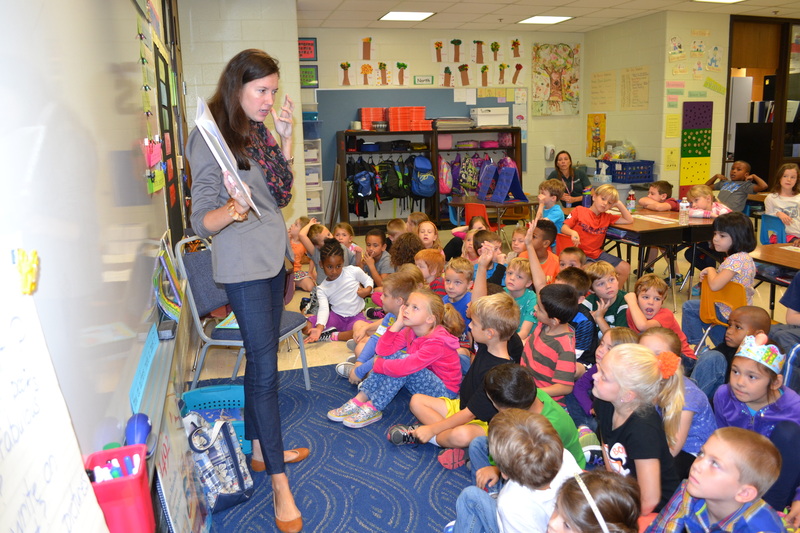 Author and reading specialist Kathryn Starke reads to kids at a local school. 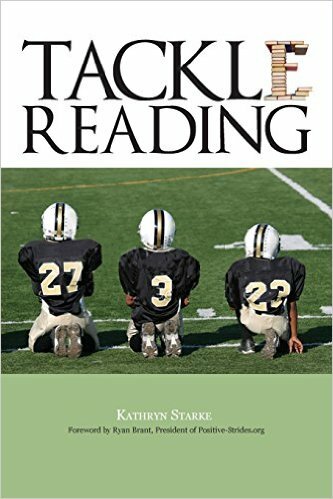 Tackle Reading, by literary specialist Kathryn Starke, is a resource that motivates children, supports parents, and inspires teachers and fellow educators to love literacy. This book contains stories written by NFL players, celebrities, and authors who are passionate about reading education. It also includes lesson plans, activities, and guidance provided by literacy leaders, educators, and organizations dedicated to improve literacy instruction for all children. A great book-study for classroom teachers, reading teachers, parents, and educational leaders, thousands of copies of Tackle Reading have been donated to inner-city elementary schools nationwide thanks to charitable giving and sponsorship. On Saturday, February 4, from ten to noon, The Little Bookshop in Midlothian hosts a Super Bowl Saturday event for kids. The contributing writers of Tackle Reading in the Richmond area will be there to meet readers and autograph their story in the book. There will be football-themed activities for kids. Model reading for your children. Take your children to the library to obtain their own library card. Visit the library or local book store on a regular basis. Read and point out environmental print (labels, signs, boxes, etc.) on outings. Read aloud to your children, no matter their age. Match books to your children’s hobbies and interests. Match books to your children’s reading levels. Ask your children’s teacher for this information. Ask your children questions before, during, and after reading. Start a neighborhood book club for kids and recommend great titles. Keep a reading journal to provide reading responses.